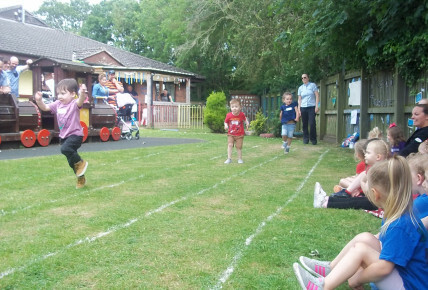 w/c 11th June the pre-school children had their sports days. The children enjoyed the team sports and came dressed in their teams colours. 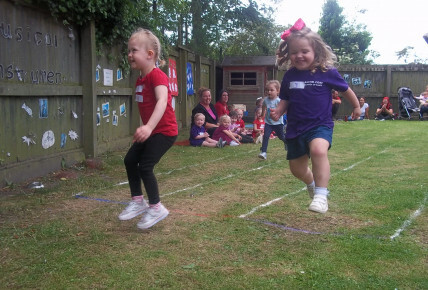 The children took part in lots of running, jumping and balancing showing off some newly learnt skills. 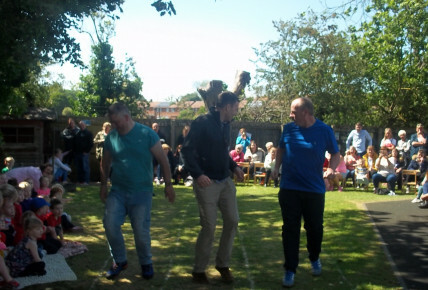 Some parents also had a turn taking part in a parents race. The afternoons were finished off with a lovely ice lolly to cool everyone down. A great way to start the summer.